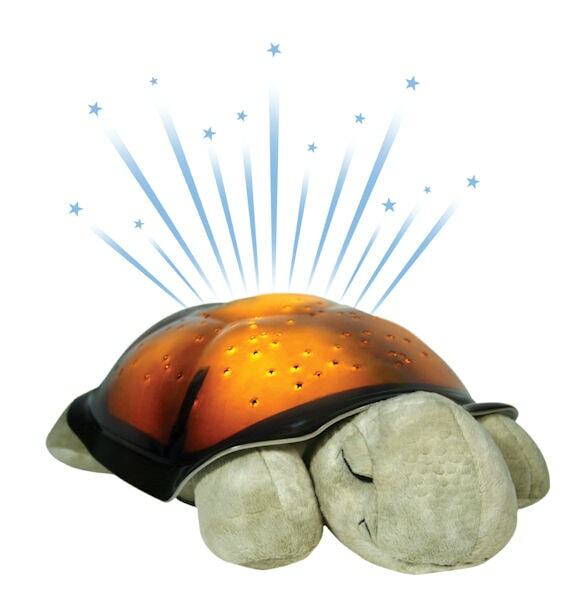 Light up the night sky inside your child’s bedroom with the Twilight Turtle from Cloud b! This plush turtle paints a starry sky across the ceiling and walls, with 8 major constellations featured for your little one to identify with their own Star Guide. Your child can choose from 3 soothing colors (amber, blue, and green) to create a peaceful environment while getting ready for slumber. Sure to be your child’s favorite, the Twilight Turtle is lightweight and could easily be packed into a backpack or suitcase for a sleepover at Grandma’s to help ease homesickness. Runs on 3 AAA batteries. To purchase, visit Cloud B. This turtle is awesome! I bought it for my friends’ son and my nephew — they love it! The constellations it makes are really cool. My friends actually had to buy another one because their older son stole his brother’s!